For those with a love of the outdoors Tomiko Lake, Ontario is a place like no other. Come to Okimot Lodge for the best in fishing, hunting, and winter sports. 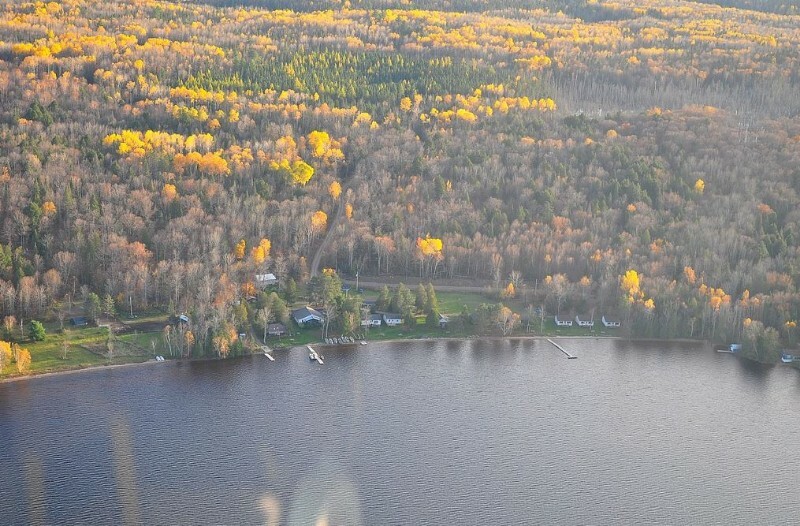 Located 40 miles northwest of North Bay, the four season Okimot Lodge offers cottages right on the natural sandy beach of Tomiko Lake and an area of breathtaking natural beauty that keeps visitors coming back time and again. 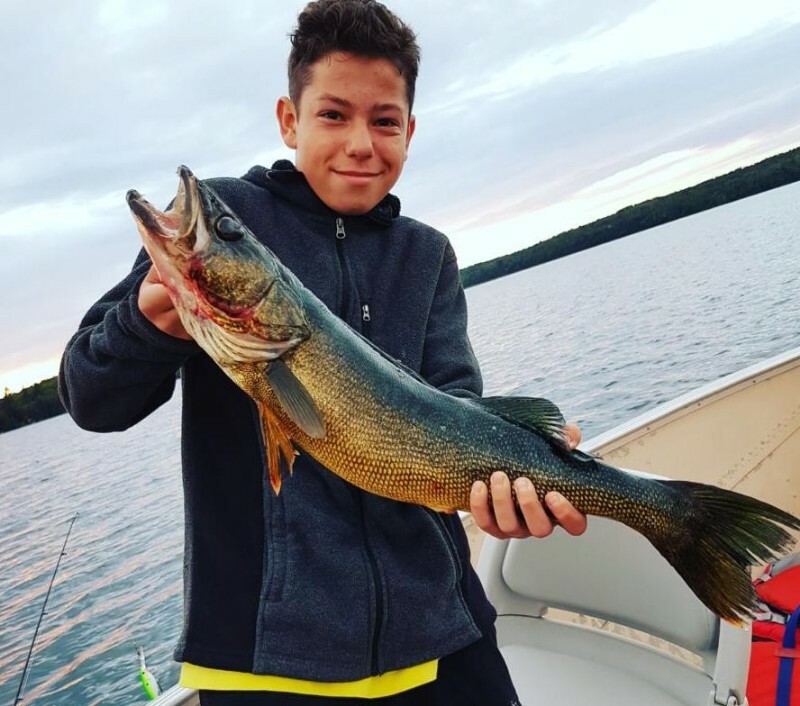 Using our 14′ aluminum boats, take a ride out onto Tomiko Lake with an average depth of 30 feet to fish for walleye and smallmouth. In the spring and late fall these fish are especially abundant. Our boats all feature 4 stroke Johnson motors and padded swivel seats for comfort or bring it one step up and take the 16.4′ Legend with casting deck or our 18′ Legend pontoon boat both with 25 hp motors. 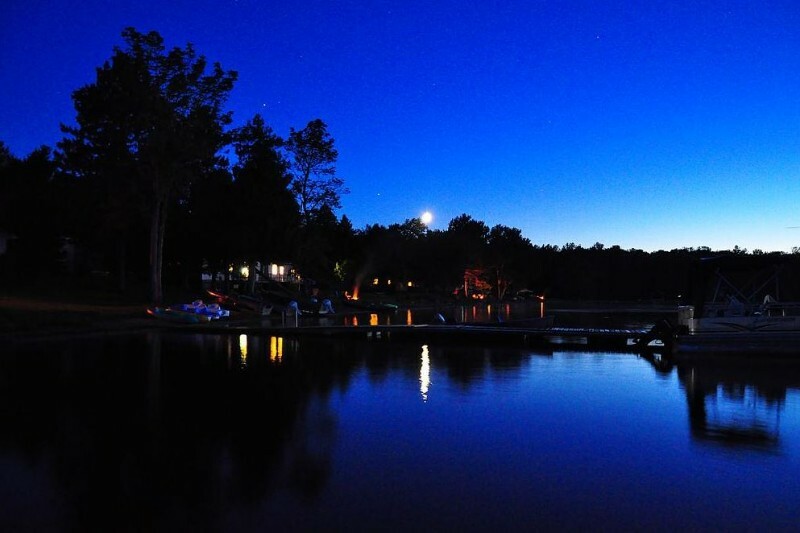 Just a short boat ride will also bring guests to two adjoining lakes, where there is excellent largemouth fishing. 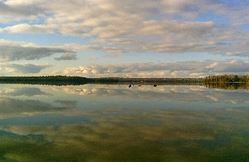 And the very sparsely populated North shore of Tomiko Lake will ensure peaceful surroundings and minimal boat traffic. Okimot Lodge offers a variety of bear hunting packages. Our bear management unit surrounds Tomiko Lake and extends to 20 bear stands on 40 square miles. Our other hunting packages include moose and grouse hunting. Okimot Lodge promises guests the ultimate Ice Fishing experience. After a good night’s rest in one of our cozy and fully equipped cottages, warmed by a wood or propane stove, enjoy the breathtaking vistas of Tomiko Lake and its surroundings. Venture out into one of our heated ice fishing huts to fish for walleye, perch and pike. We offer two nights or more in our Ice Fishing packages, with or without meals included. Whether you choose to fish just outside your cottage, or across the lake, transportation to and from the hut is available. We also sell fishing licenses for your convenience, minnows, gas for your snowmobile and oil. After a day out on the lake fishing, relax in our wood heated sauna, or watch a hockey game in the main lodge. We do supply bedding, but we ask that guests please bring their own towels. Using our tree stands, revel in the excitement of wildlife and bird watching, or explore the logging trails surrounding scenic Tomiko Lake by ATV or mountain bike. In the West Nipissing area, take a day off to golf, shop, horseback ride, or visit the museums. Okimot Lodge also offers winter snowmobiling. We sell snowmobile trail permits. Other winter activities include snowshoeing and cross country skiing.